Living a Fit and Full Life: Disney’s Nutcracker and the Four Realms Arrives on Digital, Movies Anywhere, 4K Ultra HD, Blu-ray™ and DVD Jan. 29, 2019! 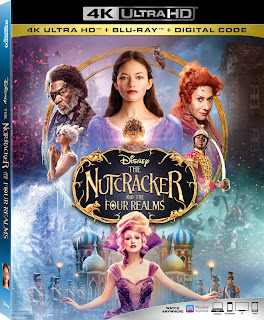 Disney’s Nutcracker and the Four Realms Arrives on Digital, Movies Anywhere, 4K Ultra HD, Blu-ray™ and DVD Jan. 29, 2019! Disney’s Nutcracker and the Four Realms is an amazing movie! It's the perfect way to relieve the magic of this classic tale. 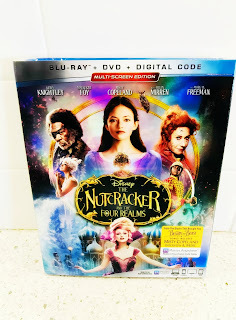 I have three daughters and the nutcracker has always been one of their favorite films so I knew this would be a huge hit in our house. "The Nutcracker" takes audiences along with 14-year-old Clara to a magical, mysterious world with breathtaking performances that my family and I absolutely loved. The movie is extremely entertaining and is sure to be a movie we watch for years to come. It's a terrific new tradition that the whole family will love! Click HERE to learn more about Disney’s Nutcracker and the Four Realms! Follow Disney’s Nutcracker and the Four Realms on social media!